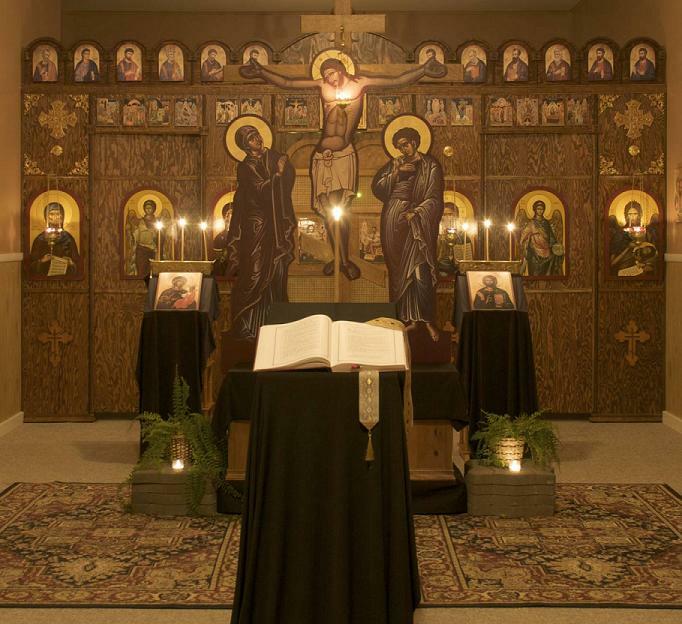 Note: This is a homily delivered by Father Theophan Whitfield, of Saint Nicholas Orthodox Church in Salem Massachusetts, on the Sunday of Saint Mary of Egypt. (3) Create silence.Disconnect entirely from your cell phone, email, internet usage and especially social media. (If any of this is needed for work or school, designate a window of usage of no more than a few hours.) Do not watch TV, or listen to the radio. Cancel all lessons, sports, and social activities. It’s only for one week. The world will still be there after Pascha. When we create silence in this way, we give ourselves the space and opportunity to be drawn by Christ more deeply into His words and actions during Holy Week. We remove some of the man-made barriers that separate us from “drinking from his cup” (Mark 10:38). And if we do not create silence, then the noise of this world will easily overwhelm the “still small voice” through which the Holy Spirit speaks (1 Kings 19:12). To hear the voice of Christ, we have to silence the relentless cascade of screed and distraction we otherwise allow the world to pump full force into our hearts and minds. (8) Seek forgiveness and healing.Chances are, each of us has at least a small handful of relationships in need of healing. During Holy Week, work for that healing. Admit your mistakes, and forgive the mistakes made by others. Offer yourself in love to at least one other person from whom you are estranged. Make a phone call, send a letter or email — you have a blessing to use email in this one case! — or schedule a coffee date. Remember how much you love this person, and remember that we were created to live in peace and joy with one another. Christ’s love for us is ENORMOUS compare to pettiness we so often hold on to. And if you have been deeply harmed by another person, seek help! Reach out to someone — your spouse, another family member or friend, your priest — and ask for guidance. Search through prayer, fasting, and honest communication for a way forward. As they say, holding onto anger (or hatred, or resentment, or vengefulness) is like swallowing poison and expecting someone else to die. Seek release from what possesses. Enjoy the lightness of a relationship that has been healed and restored.